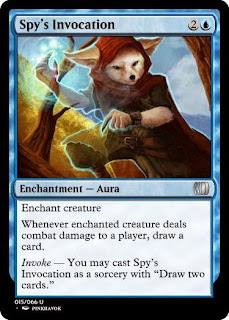 The way this template presents the alternate-casting option is a little awkward—considerably moreso than evoke was on Mulldrifter and friends—but better than the activated discard option (because of that damn sorcery clause) and better than "You may cast this without targets" which works but relies on the player to understand that means it'll go immediately to the graveyard. 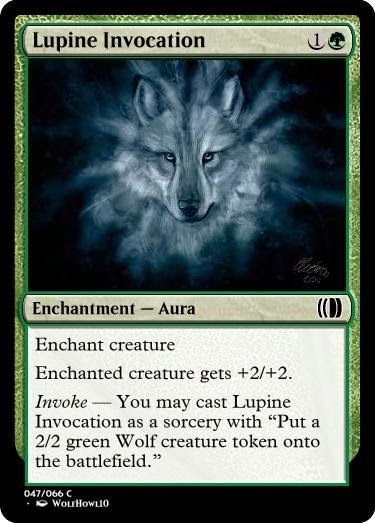 This plays similarly to bestow from theros. What if it worked the exact same way? 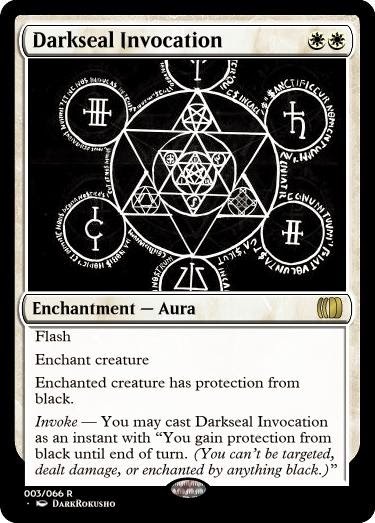 Separate the costs, and make it so that you can either A) cast the spell, or B) enchant a creature, and when the enchanted creature dies, the spell goes off, just like with bestow how the creature falls off. 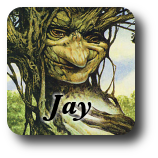 When CARDNAME leaves the battlefield, it deals 3 damage to target creature or player. Invoke 1R: You may pay this for its invoke cost to cast as a sorcery with "Whatever this cards leave the battlefield effect was. in this case deal 3 damage to target"
I like the idea a lot, and like most of the sample cards, especially fiery invocation. 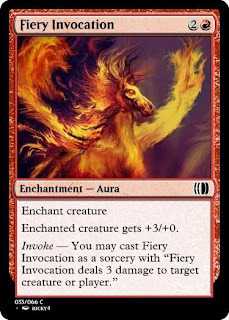 But I think to work it needs to have a more consistent match-up between aura-effect and sorcery-effect. I would consider having them give creature buffs, with an instant-mode that does the same thing as an instant UEOT, but that only goes part-way to solve the problem of "they're useless without a creature". 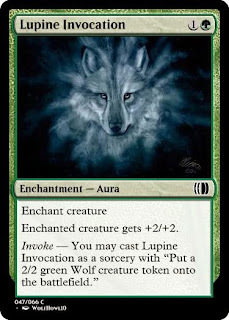 Bestow-lite, like bestow, but only one or the other, not getting the creature back when the aura falls off, would be similar for pump-auras, but too much like bestow. I like the conceptual connection between "+3/+0" and "3 damage", but I'm not sure if there's a way to make the connection intuitive enough. I guess the trouble is, evoke creatures were vanilla-creature plus spell-effect. But there's no such thing as a vanilla aura. Maybe have them all have a P/T boost and a spell-like effect, and get the spell-like alone effect for a cheaper cost? I could see making them all work like Spy's Invocation. I was thinking about this the other day, but on mostly vanilla/french vanilla creatures, and I quite like it both there and on Auras. Spellbound - You may cast Silverpelt Unicorn as a sorcery with "You gain 6 life." That sort of thing. I'm quite a fan, it's basically split cards but for permanents which is quite cool. This mechanic could go on anything, really. 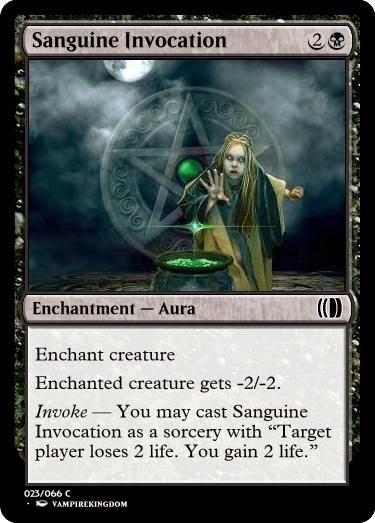 Though it would be least appropriate on sorceries and instants, and is most appropriate on auras since there are times you *can't* cast them otherwise.